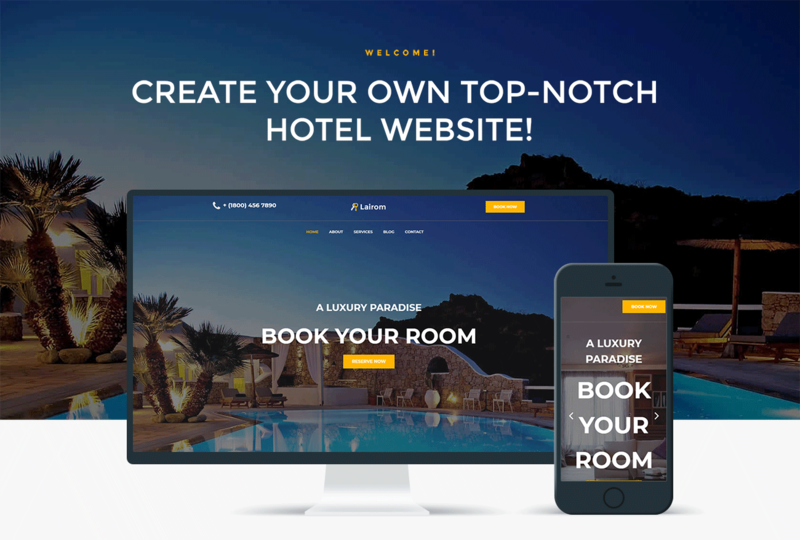 Present your hotel business in the most attractive way using Lairom theme. You will inform visitors about your hotel, services, special offers, etc. 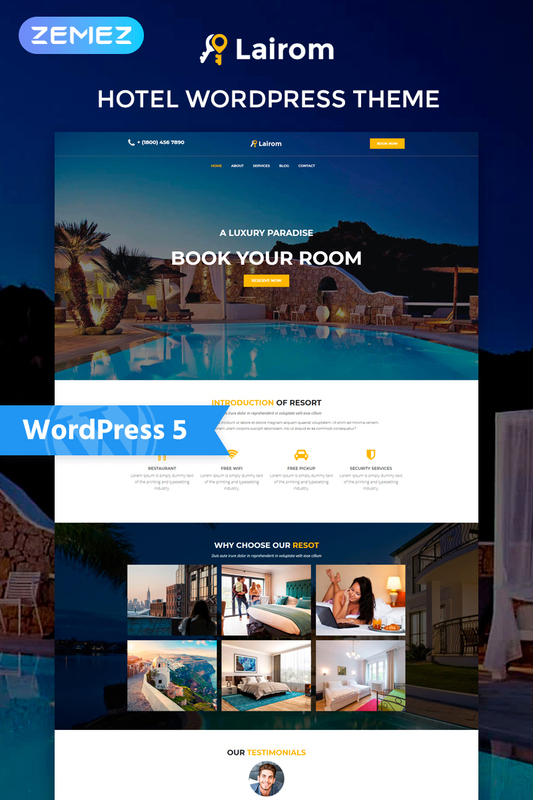 Also you will be able to provide the latest news about your hotel, reviews of happy clients and eye-catching images. Laitrom theme has a bright appearance and strong functionality. It will be possible to customize your website according to your vision and taste using Jet plugins toolkit for Elementor page builder. 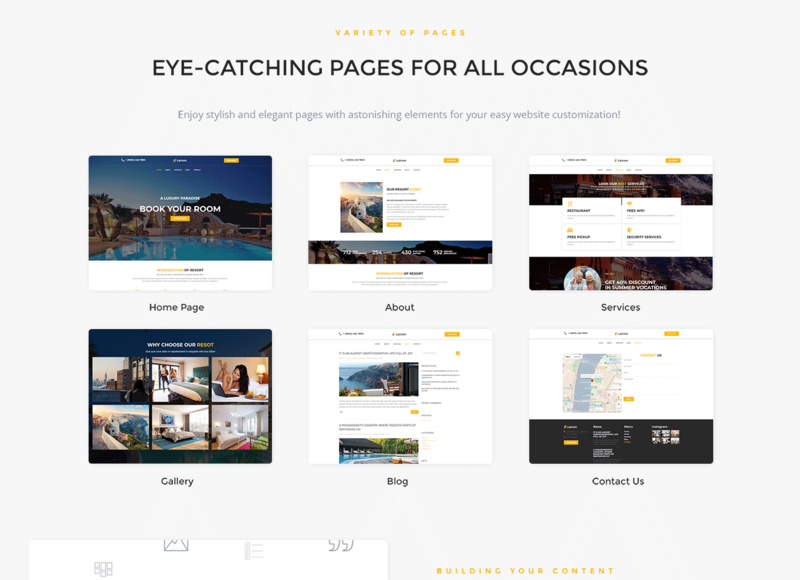 With JetTabs plugin you will organize your content into stylish tabs and accordion blocks easily and quickly. Using JetBlocks plugin you will implement additional functionality to headers and footers. JetElements plugin will allow adding helpful elements to the pages and apply different style settings to them. You will add nice visual tricks using JetTricks plugin. JetThemeCore plugin will be useful by creating custom headers and footers. Lairom theme is fully responsive and user-friendly. Your hotel will become popular and competitive thanks to Lairom theme.